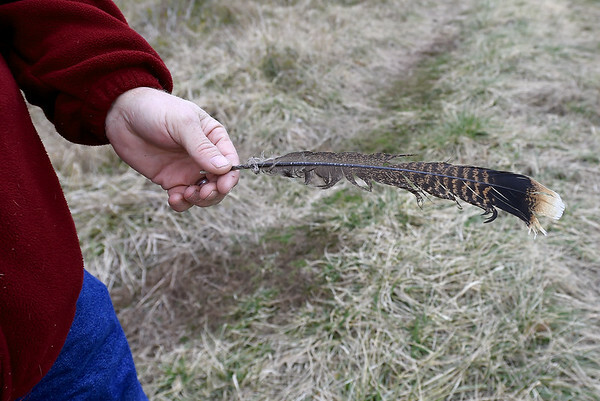 Mark Renfro's Diamond holds a wild turkey feather on his Diamond property on Tuesday. The land is targeted for a Missouri American Water proposed reservoir and has been in the Renfro family for 170 years. Abundant turkey and deer have been a longtime source of hunting for Renfro and his family.